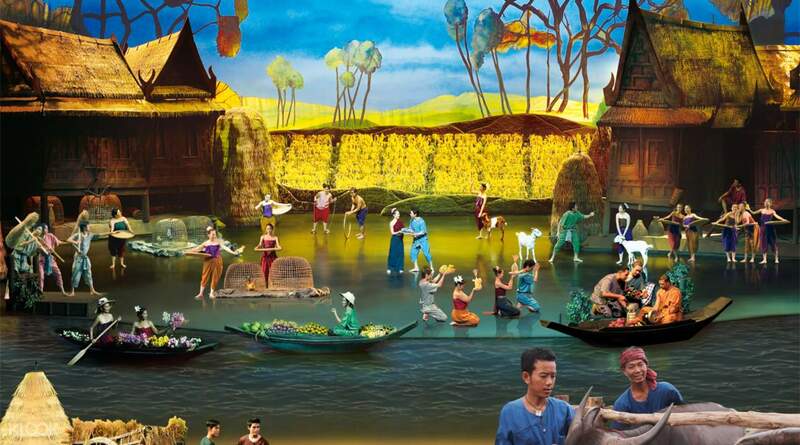 Gain a deeper insight into Thai culture and history – without stepping foot in a museum! It was a amazing show. They were do good job in customs and productions. 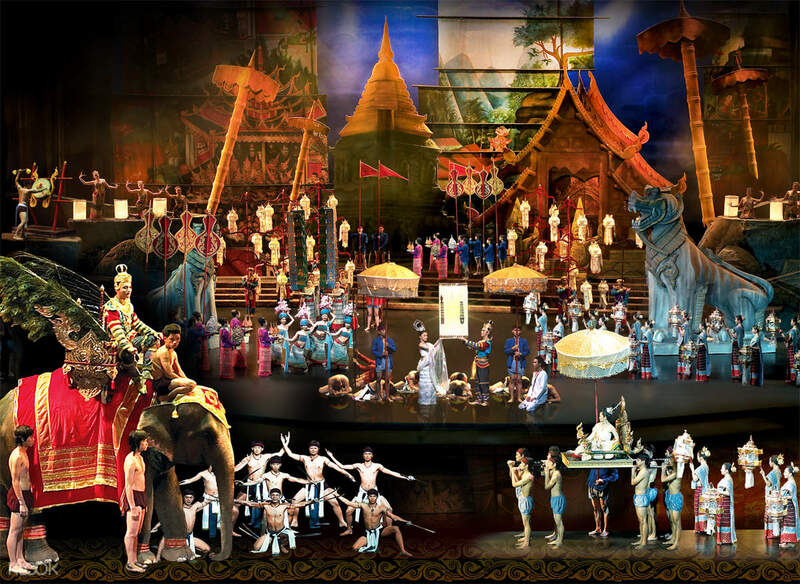 With a convenient pick-up straight from your hotel, you'll be whisked into the fantastical Thai land, for an evening of history, culture and an unbelievable performance. The three-act show takes you on a Thai journey combining an impressive range of dance, martial arts and acrobatics. One of the largest productions in the world, it features over 100 performers (in over 500 costumes!) and outstanding set design. It's worth coming early for the pre-show to see various cultural Thai treasures: a traditional village (complete with floating market), a fountain and light show, amazing dance performances, Thai boxing and even elephant feeding and rides! Opt to include dinner to indulge in a sumptuous range of Thai and International dishes including vegetarian and halal food – simply delicious! Be sure not to miss one of the most popular shows in Phuket! We chose klook to book Siam Niramit show for the first time. The show as well as Klook service were exactly as per our expectation. The pick-up cab was on time and very comfortable. At the show, it was like a carnival. Beautiful, vibrant, happy atmosphere. The main show was unimaginable. We are glad that we checked into klook to book Siam Niramit show. We chose klook to book Siam Niramit show for the first time. The show as well as Klook service were exactly as per our expectation. The pick-up cab was on time and very comfortable. At the show, it was like a carnival. Beautiful, vibrant, happy atmosphere. The main show was unimaginable. We are glad that we checked into klook to book Siam Niramit show. Good for all sort of travellers: families, solos, couples, elders and young kids. My advice is to come early to start dining and explore everything before the show starts. Me and my family had absolute fun during the pre-shows! Come at 5, sit at the park, dine at 5.30, come back again at 6.30 to explore the village area and then enjoy the pre-shows. The show itself is worth every penny of money. The only problem is with klook whose depiction of the theatre seating is unclear, shd have stated that there's a better class than platinum for guests to purchase on the spot. Good for all sort of travellers: families, solos, couples, elders and young kids. My advice is to come early to start dining and explore everything before the show starts. Me and my family had absolute fun during the pre-shows! Come at 5, sit at the park, dine at 5.30, come back again at 6.30 to explore the village area and then enjoy the pre-shows. The show itself is worth every penny of money. The only problem is with klook whose depiction of the theatre seating is unclear, shd have stated that there's a better class than platinum for guests to purchase on the spot. VERY GREAT SHOW! we really enjoy it. we book on klook and we took transfer with buffet. it was so worth it. I think anyone should try to watch the show at least once in a lifetime. preshow is so superb! overall performance is great! U will never regret! VERY GREAT SHOW! we really enjoy it. we book on klook and we took transfer with buffet. it was so worth it. I think anyone should try to watch the show at least once in a lifetime. preshow is so superb! overall performance is great! U will never regret! The show is visually stunning. It consists of several segments, some of which may be a bit boring but others are just amazing (e.g. "Hell"). Overall, it's definitely worth seeing if you have a free evening in Phuket. The buffet has a huge selection and we found several dishes that we really liked. Arrive a bit earlier to see the pre-show activities, such as feeding the elephants and exploring the traditional village. And go for the the platinum tickets since the price difference is small and you'll get the best seats. The show is visually stunning. It consists of several segments, some of which may be a bit boring but others are just amazing (e.g. "Hell"). Overall, it's definitely worth seeing if you have a free evening in Phuket. The buffet has a huge selection and we found several dishes that we really liked. Arrive a bit earlier to see the pre-show activities, such as feeding the elephants and exploring the traditional village. And go for the the platinum tickets since the price difference is small and you'll get the best seats. 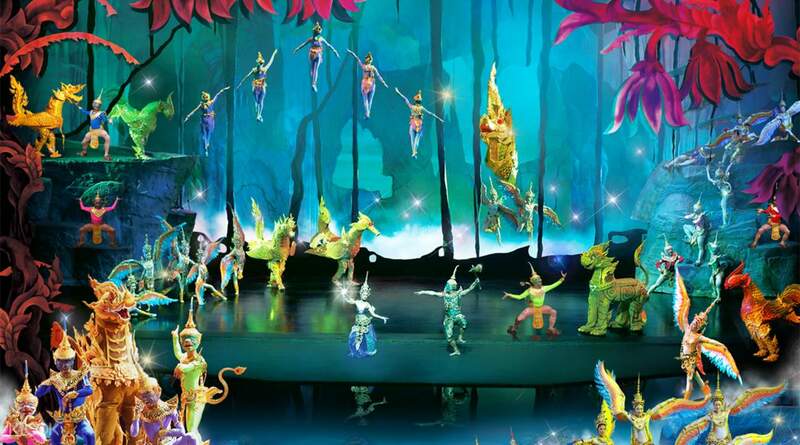 The Siam Niramit Phuket show is a must when in Phuket.... They have a thai village showing house's from different parts of Thailand which you can walk through. Pre entertainment before main show such as Thai boxing show, water fountain show, and a few other acts is really entertaining. Do come early and go for their buffet dinner. The food is so nice and variety. The show it self is about the history of the Thai culture and beliefs, music lights and some comedy just add to the highlight of the performance. You will not regret it and the show worth every of your penny. 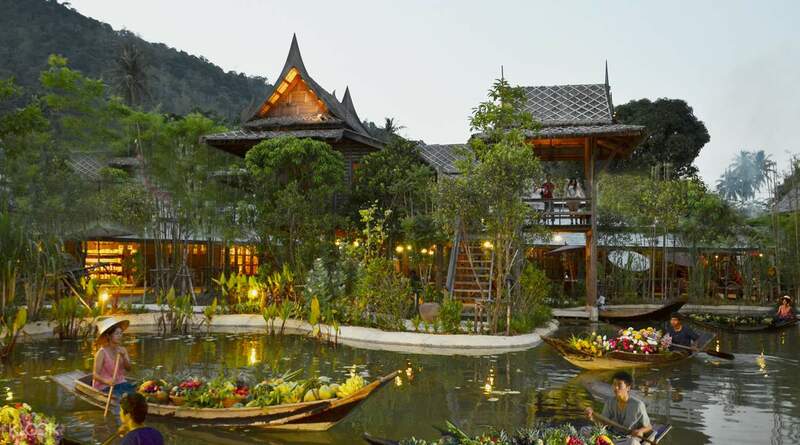 The Siam Niramit Phuket show is a must when in Phuket.... They have a thai village showing house's from different parts of Thailand which you can walk through. Pre entertainment before main show such as Thai boxing show, water fountain show, and a few other acts is really entertaining. Do come early and go for their buffet dinner. The food is so nice and variety. The show it self is about the history of the Thai culture and beliefs, music lights and some comedy just add to the highlight of the performance. You will not regret it and the show worth every of your penny. The best show ever! Really recommended it to every age. We learnt a lot about Thai’s history. And the buffet is halal. The pre-show and the show it self are incredible! I enjoy every each moments there. The best show ever! Really recommended it to every age. We learnt a lot about Thai’s history. And the buffet is halal. The pre-show and the show it self are incredible! I enjoy every each moments there. Its A must see! I was amused and amazed that this show was being played professionally but what makes it more amazing is that most of them are young age i guess but the perfomance is really awesome! The food buffet is really worth your money where you can experience different kind of thai foods. The pad thai OMG its Heaven! While waiting you will not get bored since the place offers different activities like visit the thai village, muay thai, dance performance. Im really impressed! Btw, picture taking with the performance is strictly prohibited. Its A must see! I was amused and amazed that this show was being played professionally but what makes it more amazing is that most of them are young age i guess but the perfomance is really awesome! The food buffet is really worth your money where you can experience different kind of thai foods. The pad thai OMG its Heaven! While waiting you will not get bored since the place offers different activities like visit the thai village, muay thai, dance performance. Im really impressed! Btw, picture taking with the performance is strictly prohibited.